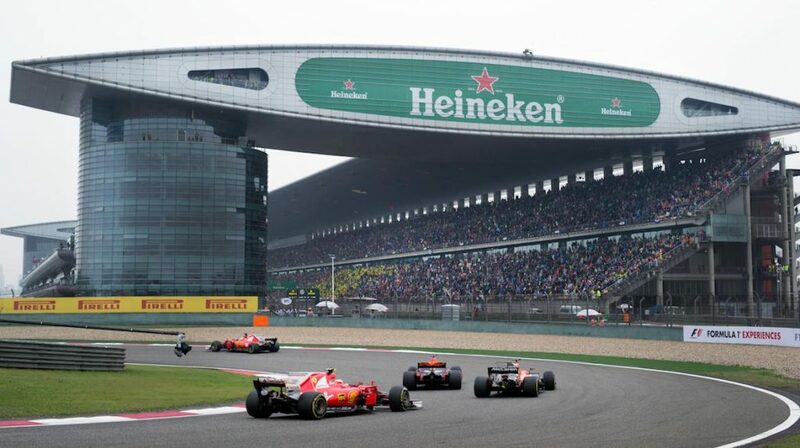 The 2019 Chinese Grand Prix is being recognised as Formula 1’s 1000th World Championship race. To mark the milestone event, there will be a number of demonstration laps in legendary Renault and Lotus cars ahead of the Grand Prix on Sunday. Furthermore, the drivers are allowed to run special helmet designs this weekend to celebrate the occasion. George Russell has shared his helmet design for the race weekend, which is inspired by the colours of Juan Pablo Montoya’s helmet. If recent milestone races are anything to go by, we’re in for a treat this weekend! The 2003 Brazilian Grand Prix (the 700th race), the 2008 Singapore Grand Prix (the 800th race) and the 2014 Bahrain Grand Prix (the 900th race) were all memorable for their own reasons. Read more about Formula 1’s road to 1000 here. Could the 1000th race see Formula 1 crown its 108th Grand Prix winner? Charles Leclerc didn’t put a foot wrong over the Bahrain Grand Prix weekend but, after becoming the sport’s 99th polesitter at the 999th race, the Monegasque driver ultimately finished third following engine issues late on in the Grand Prix. 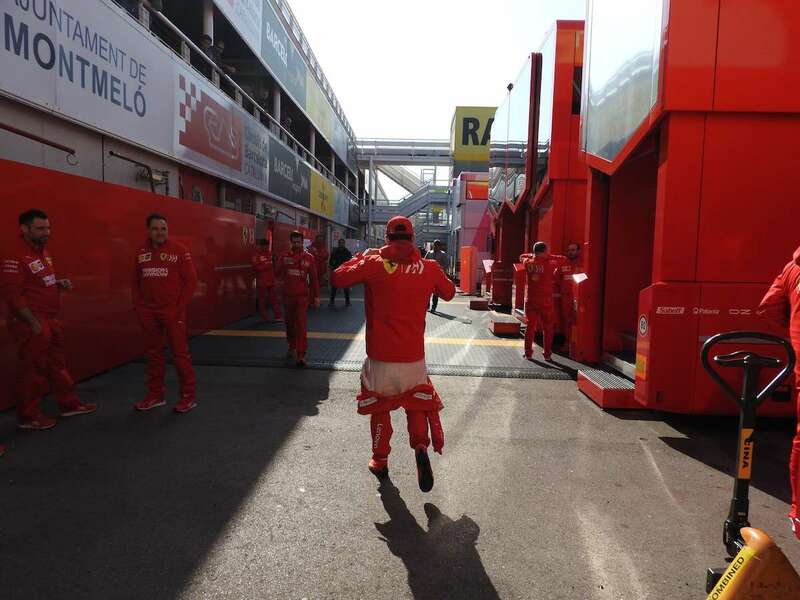 Leclerc lost positions at the start, but soon found himself in the lead once again after disobeying team orders to maintain position behind his team-mate. While the result was ultimately disappointing, Leclerc proved his potential and lived up to the pre-season hype surrounding him. Meanwhile, team-mate Sebastian Vettel suffered a spin after being overtaken by Lewis Hamilton, and could recover to only fifth. Last year’s Chinese Grand Prix polesitter – who failed to win the race after being sent into a spin by Max Verstappen – will be hoping to recover his status as Ferrari’s number one in China. Will Leclerc be able to repeat his performance from Bahrain this weekend and secure his first victory? Or will Sebastian Vettel bite back and score his first big result of the year? Lewis Hamilton: the man to beat? It seems that Ferrari’s biggest threat for victory this weekend will come from Mercedes, and Lewis Hamilton in particular. Hamilton is the man to beat at the Shanghai International Circuit, with no less than six pole positions at the track and five victories. In fact, the only time he’s failed to score here was on his debut Chinese Grand Prix appearance in 2007, in which he beached his McLaren in the gravel at the pit entry. The five-time champion now sits one point away from team-mate Valtteri Bottas at the top of the Drivers’ Championship. Will he climb to the top of the standings in China? Red Bull Off The Pace? Aided by the Safety Car, Red Bull won last year’s Chinese Grand Prix – though if their performance in Bahrain is to be indicative of their pace in 2019, the team need to be wary of the threat from behind, rather than taking the challenge to Mercedes and Ferrari in front. Can Red Bull recover this weekend in China? And will Pierre Gasly reach Q3 on his third attempt with the team? Last year’s Chinese Grand Prix winner has faced a trying start to the 2019 season. Daniel Ricciardo has retired from both of his appearances so far with Renault, and has admitted that, even after post-race testing at the Bahrain International Circuit, he’s yet to feel comfortable in the RS19. Though Ricciardo out-qualified Nico Hulkenberg in Bahrain, Hulkenberg had appeared much more comfortable throughout the practice sessions. After both Renault cars retired toward the end of the Bahrain Grand Prix, with Hulkenberg running sixth and Ricciardo in tenth at the time, 2019 marks the first time that the Australian has failed to pick up points in the opening two races of a season since 2014. Ricciardo will be hoping to put that right and get points on the board this weekend. The first lap at the Chinese Grand Prix is always action-packed, thanks to the fast-flowing nature of the circuit’s twisting opening corners. Shanghai is, of course, the place where Daniil Kvyat earned his ‘torpedo’ nickname, following his bold overtaking manoeuvres on the first lap in 2016 – a race which led to the Russian’s most recent podium appearance. Be sure to look out for more bold moves in the opening corners of the 2019 race! Who do you think will take victory in Formula 1’s 1000th World Championship race? Will Leclerc get the better of Vettel once again? Will Ricciardo score for the first time in 2019? Let us know your thoughts in the comments below!